You should have dog first aid kits at home for your poodle in case she gets an at home injury. Pet supply stores will have them or you can assemble one yourself from items you have at home. First aid kits for dogs should have antibiotic cream, vet wrap, artificial tears, benadryl, baby aspirin, cotton balls, gauze, tweezers, hydrocortisone cream, hydrogen peroxide, petroleum jelly, disposable gloves, scissors, ipecac syrup, thermometer, and your vet's phone number. If you want a naturopathic first aid kit, gather aloe vera, arnica gel, cayenne pepper, comfrey cream and Rescue Remedy. 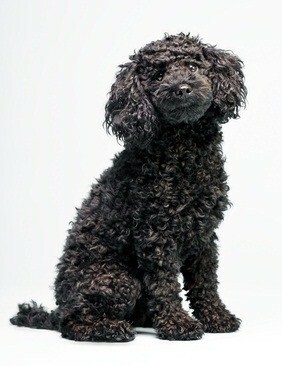 If your poodle is bleeding on her body or legs, use direct pressure if not severe. Use gauze rolled up (or an old towel if you don't have gauze) and place over the wound applying medium pressure (not enough to hurt him). Hold for up to 5 minutes. If blood is soaking through the gauze, he has blood in his urine or feces, or is vomiting blood, call your vet right away. Shock can cause unconsciousness and shallow breathing with a rapid pulse. Keep her quiet and warm with a blanket and seek immediate veterinary care. Chemicals, medications, insecticides, cleaning and laundry supplies, perfumes and plants should be kept locked away from pets, especially puppies. If you discover your dog has ingested a poisonous substance, immediately call your vet. If you know the substance, take it and your dog to the vet. Antifreeze is appealing to dogs and should be kept locked up and away from him. Azaleas, holly, mistletoe, poison ivy and poinsettias are plants that are poisonous to your pet. Signs of poisoning, which are a medical emergency, include vomiting, diarrhea, convulsions, listlessness, shallow breathing and unconsciousness. Remove the stinger and apply ice to the affected area. If she seems sick or in shock, immediately call your vet. An antihistamine may be given for allergic reactions, ask your vet. 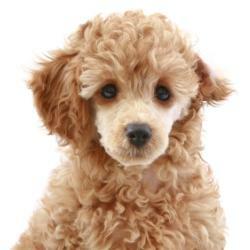 Learning first aid for dogs helps you treat your poodle if she should get injured at home. Keeping dog first aid kits handy helps to comfort and soothe her cuts, bites and bruises, keep them from getting infected and give peace of mind to you and your dog.